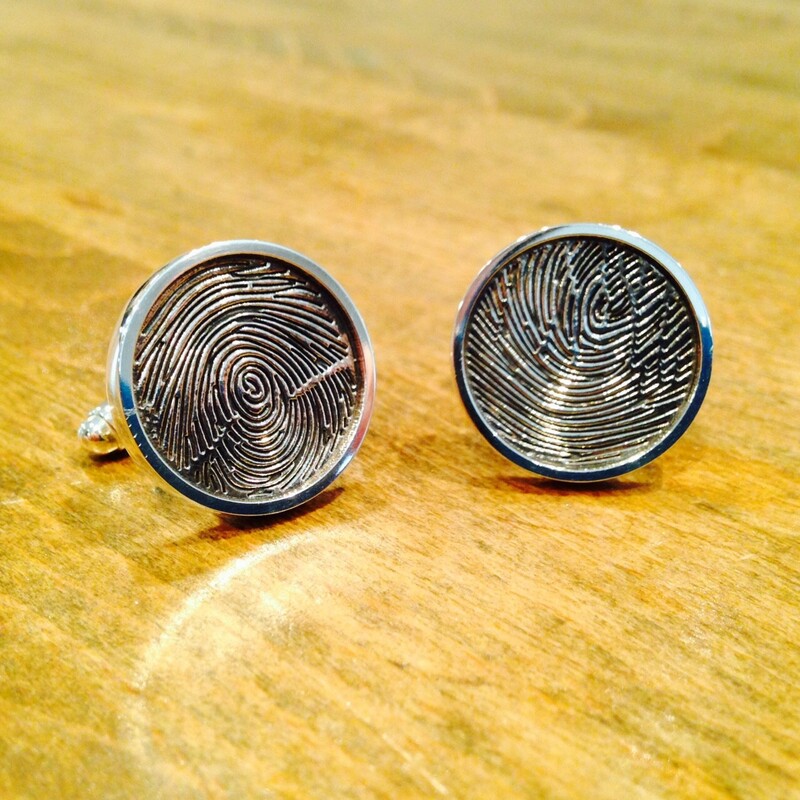 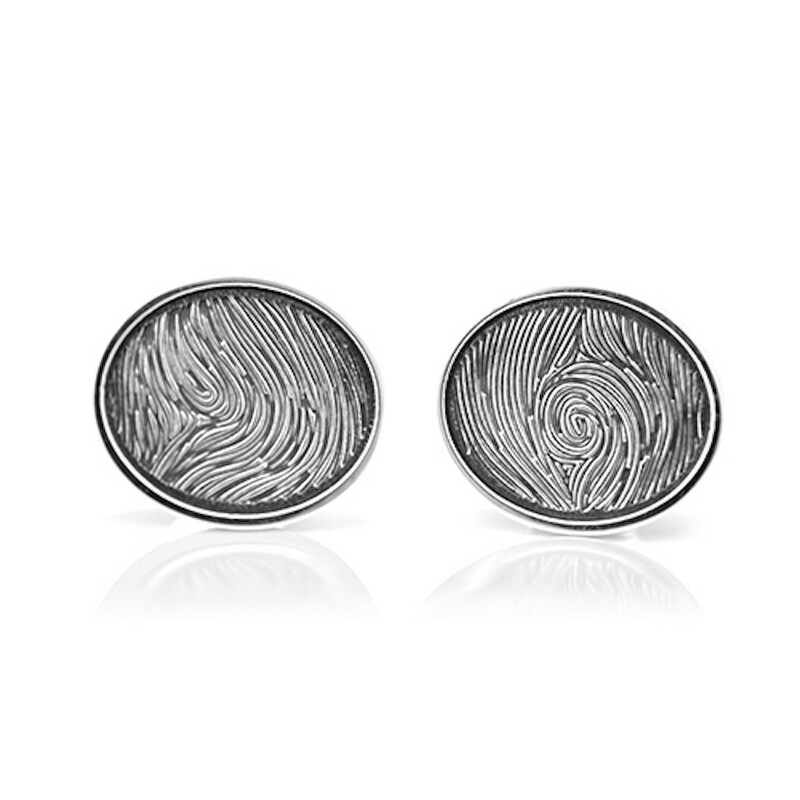 Each pair of sterling silver fingerprint cufflinks is unique. 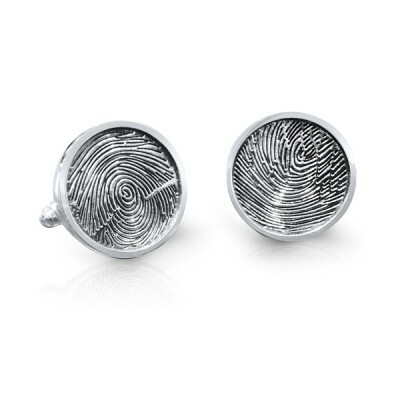 The round cufflinks featured here were a Father's Day present and contain the fingerprints of the spouse of the recipient and his one-year old daughter and had toggle/torpedo backs. 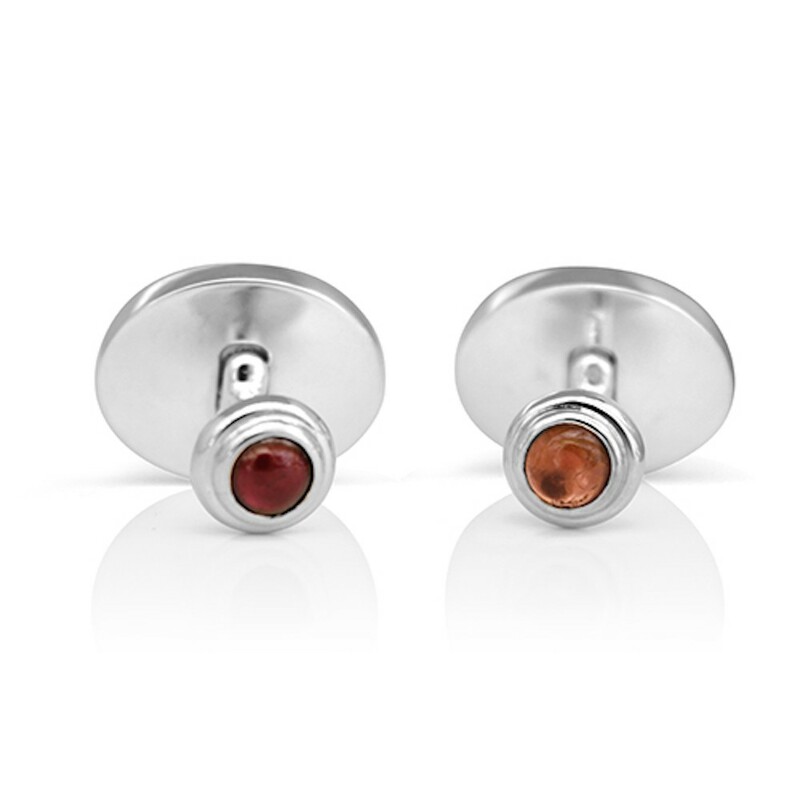 The oval ones contain the fingerprints of a mother and her son, and the backs were customized to incorporate birthstones. One great feature of these cufflinks is that we retain the computer record of the fingerprints (in an unidentifiable format) so that they can be used again in case a cufflink is lost or you decide you'd like to use them in other jewellery (we make fingerprint rings as well).